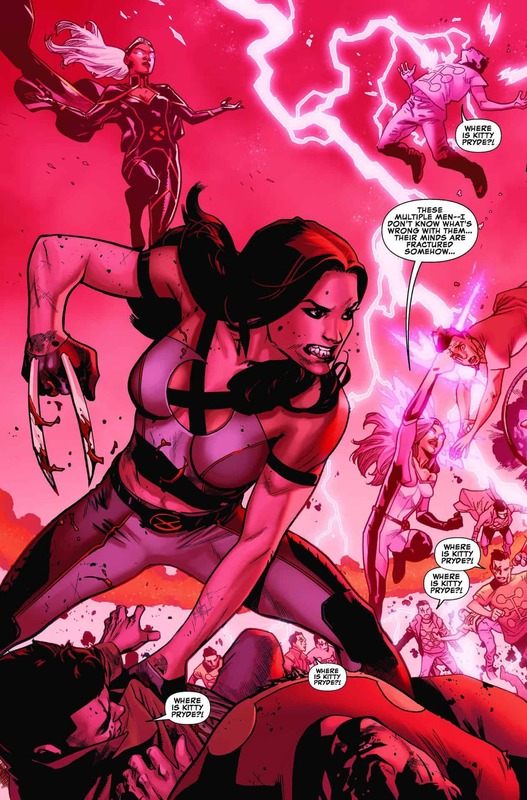 UNCANNY X-MEN #1 is a must-read for anyone who considers themselves a true X-Men fan. 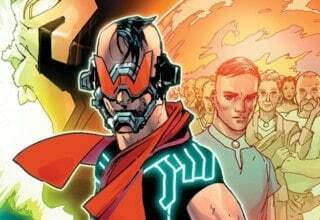 While not perfect, the issue gives readers a full cast of characters and an enthralling plot that will have them eagerly awaiting next Wednesday. Brisson, Thompson, and Rosenberg don't rely on flashy, shocking moments. They use masterful storytelling and classic X-Men elements to weave the beginning of a very promising tale. UNCANNY X-MEN is back but is it truly better than ever? The series has seen three relaunches in the past decade, so what makes this one any different? Although this is only the first issue (and I don’t want to jump to any overly optimistic conclusions), UNCANNY X-MEN #1 is a strong start that differs from past reboots of the series. Unlike the past three UNCANNY X-MEN #1’s, this issue actually feels like the beginning of a new era. 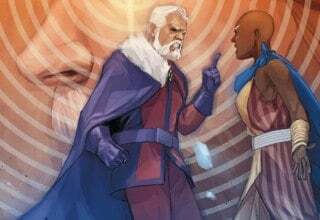 Writers Ed Brisson, Kelly Thompson, and Matthew Rosenberg set up an enthralling mystery that could dramatically change the current X-Men world. Artistically, artist Mahmud Asrar struggles to keep up with the large cast of characters. However, veteran colorist Rachelle Rosenberg helps to bring the visual elements back on track. Partly because of this, and because of some strange plot points, UNCANNY X-MEN #1 isn’t perfect, but it has the capacity to become something close. The X-Men are facing a crisis. Or, more accurately, many crises. Jean Grey, along with some of the other veteran X-members, keep encountering a frantic Multiple Man, who says they need to find Kitty. 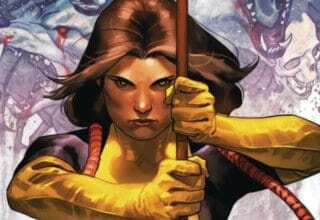 Of course, in typical comic book fashion, Kitty Pryde goes spontaneously missing in the first half of the giant-sized issue. 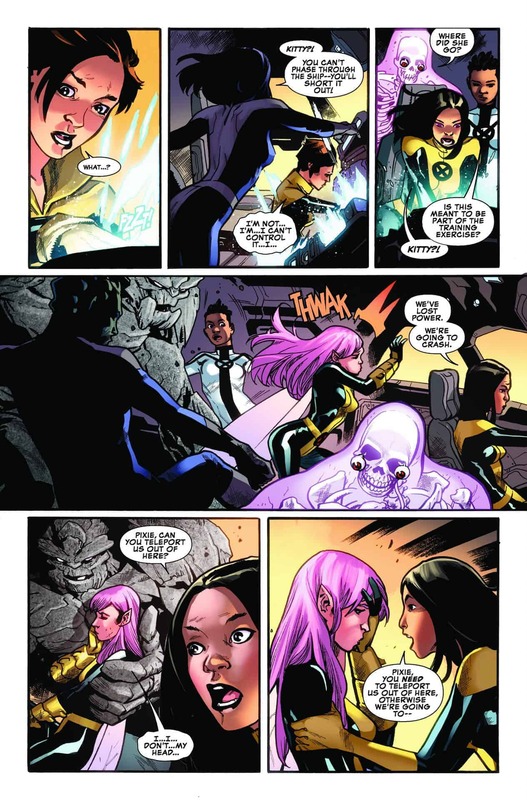 During one of her missions with the younger X-Men, someone pulls Kitty through a wormhole, leaving her team to fend for themselves. In Africa, Storm and Beast encounter a strange lake that formed, seemingly overnight, in a once dry desert. While the issue doesn’t touch on every member of the X-Men, it comes pretty close. 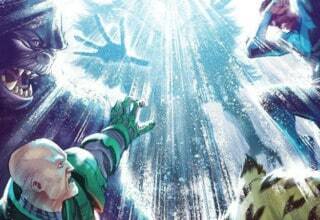 It definitely seems as though something is striking the entirety of the X-Men and not just a single branch. The X-Men haven’t known where they are for some time. The loss of Cyclops and the arrival of the time-displaced X-Men made X-Men comics lose some of their purpose. The things that people loved about the X-Men, mostly their political relevance and their strong sense of (dysfunctional) family, disappeared. Some of their recent series haven’t felt like X-Men series at all. Nothing separated them from any other superhero comic on the market. 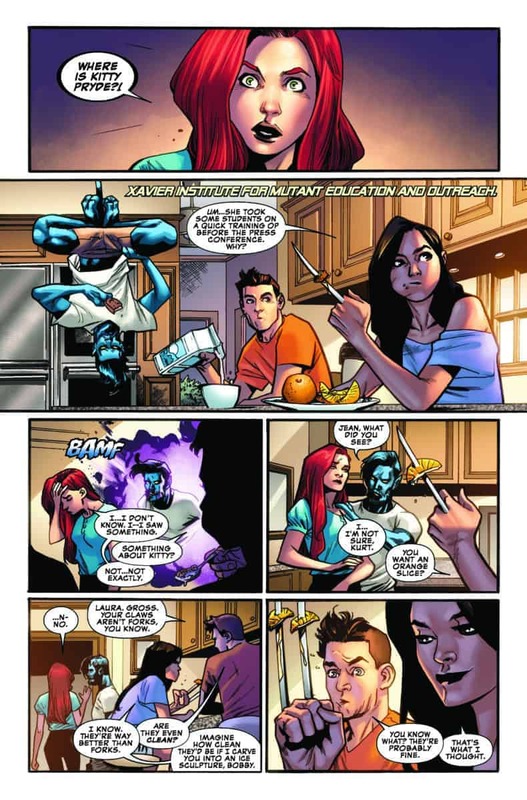 Finally, UNCANNY X-MEN #1 starts to change that. X-MEN RED had started to send the X-Men in the right direction, but I think these characters really needed a series like UNCANNY. No other series allows all of the X characters to exist on the page simultaneously. X-MEN BLUE and X-MEN GOLD couldn’t foster the idea of the X-Family because they were working with an extremely restricted cast of characters. 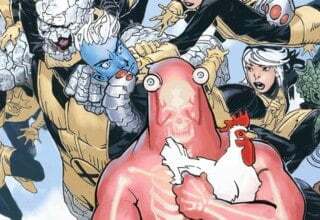 Because UNCANNY X-MEN #1 has so many characters at its disposal, it can finally give readers everyone from Armor and Anole to Bishop and Northstar. The few extra “spotlight” stories at the end of the issue also help to give these characters some stronger voices. What keeps readers reading comic books? This is the question that used to plague comic writers, back when people had to actually go to the store to buy comics. Now, with the Internet, there is less of a focus on maintaining readers’ excitement when it comes to serial comics. In some ways, that’s a good thing. It keeps writers from leaning into the sensationalism that comics can fall victim to (newer, bigger, faster!). Still, there’s something to be said for old-fashioned cliffhangers. As annoying as they can be, they’re also a lot of fun. There are few things more exciting than getting the next installment in a well-crafted mystery. Unlike so many other comics out there, UNCANNY X-MEN #1 seems to recognize this. This first issue is huge, yet we still don’t know who the villain is, and, from the looks of it, I don’t think we’ll know for a while. Brisson, Thompson, and Rosenberg give small hints throughout the issue, but there isn’t an obvious answer. There is an immense attention to detail and to storytelling that I think will help keep readers glued to this series as it comes out. If my intuition is right, each issue will give readers a few more clues until they can eventually solve the mystery. 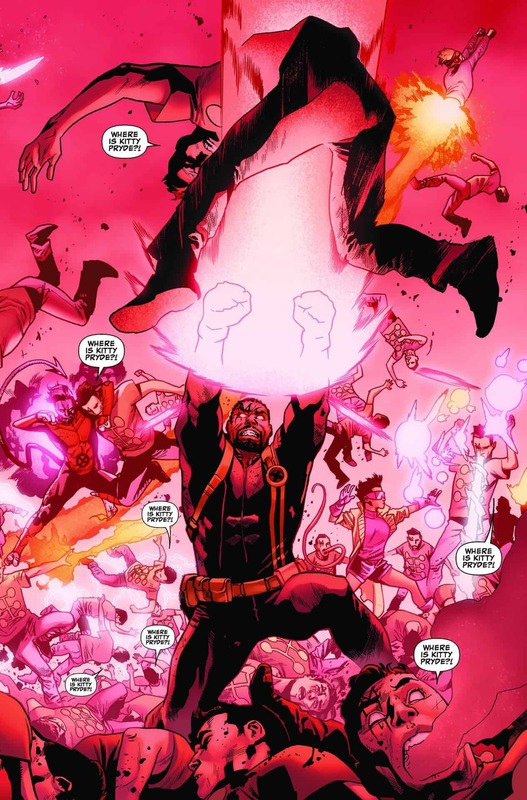 Artist Mahmud Asrar has worked on other X-Men titles in the past, including the well-received X-MEN RED. During his time on the series, I didn’t always care for his particular style. Anatomically, Asrar always delivers amazing action scenes, with realistic poses and bodies. The area where his art doesn’t always amaze is in the characters’ faces. Unfortunately, faces are the thing we look at first when viewing drawings of people. For comics, well-drawn faces, that capture both individuality and expressions, are vital. There are a few panels where Asrar starts to do this (Jean at the political rally has some good moments) but overall, I was a little disappointed. Thankfully, where Asrar disappoints, colorist Rachelle Rosenberg brings her A-game. 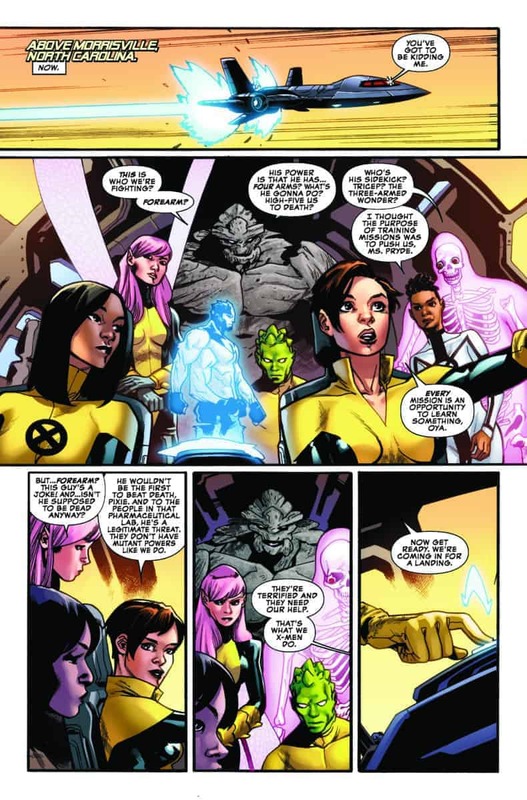 Rosenberg is one of Marvel’s most well-known colorists and UNCANNY X-MEN #1 shows us why that is. Her figures and backgrounds are stunningly realistic, yet somehow still suitably alien. 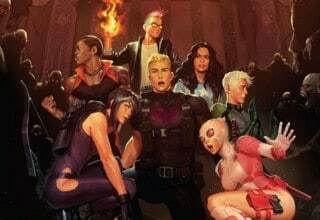 From perfect skin tone to hair color (yes, I’m talking about Jean here), Rosenberg brings this huge cast of characters to life. For the most part, UNCANNY X-MEN #1 just works. So many fans weren’t excited about “just another reboot,” but let me reassure you, this isn’t like the past Uncanny reboots. 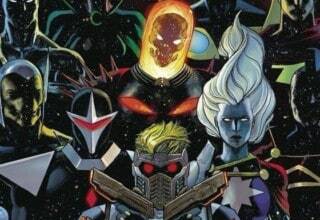 The sheer number of characters this issue features, along with its mysterious storyline, makes for something unique. I don’t know what the future issues of the series will bring but I know I’m excited to find out. What? This issue was terrible. The X-kids are treated like total jobbers despite being incredibly experienced, all so Laura can defeat the MLF (off-panel, no less) and call the bad guys amateurs. (Which is a pretty big, if indirect insult to the kids who were supposed to be her friends, and are her age. She’s also cracking jokes and playing with food, which is very much unlike her character the last few years.) The plane crash wouldn’t have happened if Armor remembered her powers. The characters wouldn’t be hurt if Pixie didn’t just randomly hit her head and feel dizzy. The story has barely moved. We get some hints at the main story (Storm and Beast talking about the rain), but that’s just them casually talking. The vaccine stuff is trite and tired stuff we’ve seen before, Jubilee even calls it out as such. Multiple man’s stuff is giving me flashbacks of Rosenburg’s awful Multiple Man mini. The extra prologue chapters felt like afterthoughts and should have been woven into the story more naturally. It’s a structural mess with some tired ideas thrown in. The X-kids didn’t serve much of purpose other than to look bad. Laura’s character is off.